Note: This guide is valid for Thinfinity VirtualUI v2.0 and older. 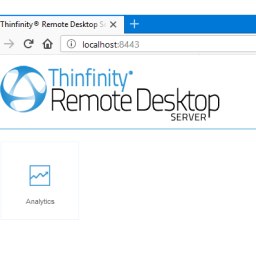 To register Thinfinity VirtualUI v2.5 check the new guide here. We will dedicate this article to clarify and explain the differences between the available licenses for Thinfinity VirtualUI v2.0 and how to register the software after the purchase. There are two different sets of licenses for Thinfinity VirtualUI, one for the developer machine (called “Thinfinity VirtualUI Developer PRO Version License”) and one for production environments (called “Thinfinity VirtualUI Server License”). 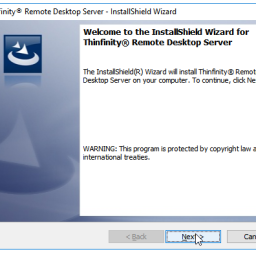 Both licenses are necessary if you want to take full advantage of the jsRO Integration capabilities offered by Thinfinity VirtualUI. When you just need a simple web-enablement of your currents Windows app “as is”, then the product key is the only one you require. Not sure about the license needed for your particular project? Have special licensing needs? Contact us at support@cybelesoft.com or leave a message on this same post. 1) Compile your application referencing VirtualUI library (run in the IDE). 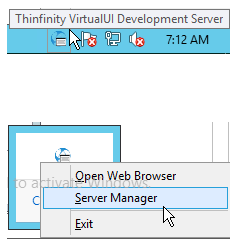 2) Click on the Thinfinity VirtualUI Development Server Manager icon in the system tray and then select ‘Server Manager’. 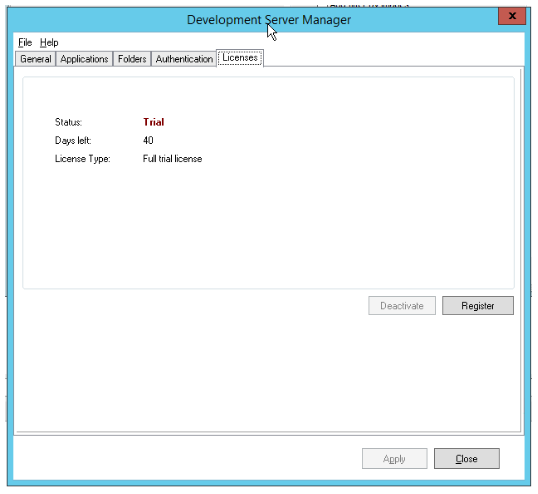 This will open the Development Server Manager. 3) Once you are here, just need to click on register and you can proceed to register your license. 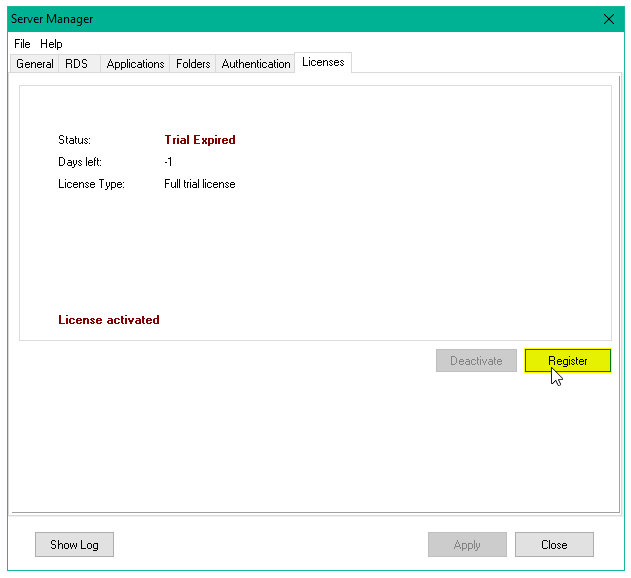 As you well know, Thinfinity VirtualUI licensing’s model is built around concurrent users, the server license is intended for production environments and you need as many licenses as concurrent users will access your application simultaneously. 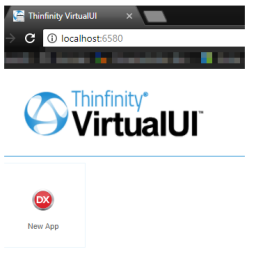 Once you have your server licenses, you can register them in the Thinfinity VirtualUI Server Manager under the “Licenses” tab. 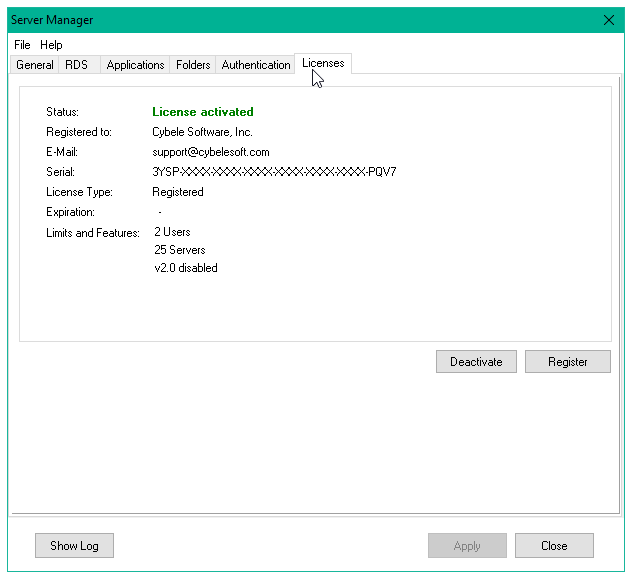 2) Once the registration dialog is open, you just need to paste your license information and click on activate. 3) Click on “apply” and your server license will be successfully registered. If your server doesn’t have access to the Internet, then you’ll have to perform a manual activation. If that’s the case, you must contact us at support@cybelesoft.com for more information on manual activation. To be eligible for manual activation your licenses must be covered by our Maintenance Service. This is mandatory. 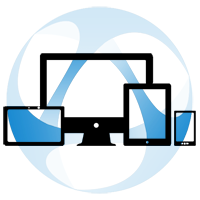 Thinfinity® VirtualUI™ – Instantly upgrade and modernize legacy Windows applications.